AAM is hosting their 6th annual event at SXSW 2010 and has released its details. 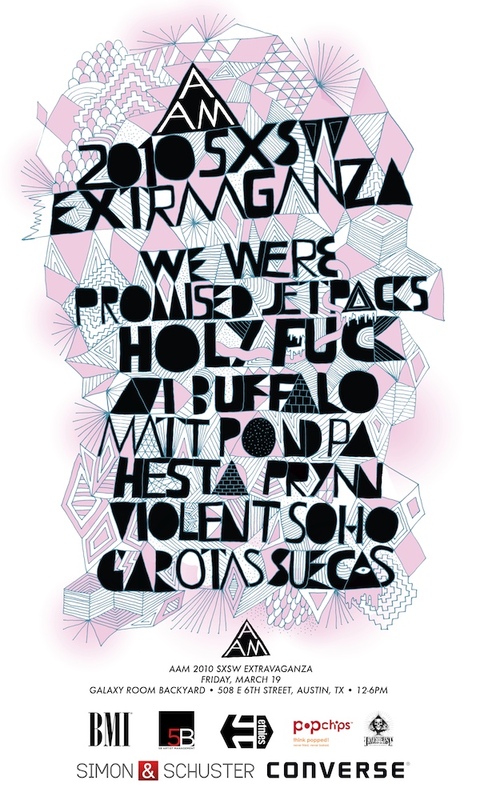 The lineup includes performances by Garotas Suecas, Violent Sohos, matt pond PA and more. The event first come, first serve so make sure you arrive early (that means no wristbands are required!). Check out details of the event below!